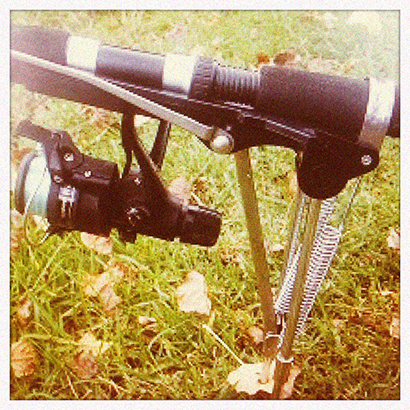 In this modern age, technology is playing an ever increasing role in our angling. Bait boats are regularly used by carpers looking to feed a tight bed of bait at range, while drones are even rumoured to be appearing over lakes as anglers rush to get an edge. Is it any wonder then that a patent for the Self-striking rod-rest is logged in the UK? The premise is fairly straightforward, and is centred on a fairly standard looking rod rest which sits upon a spring-loaded bank stick. When a fish bites, and pulls the rod tip down, a clasp holding the spring in place is released and the rest shoots upwards, setting the hook. That’s the theory, and remarkably, in practice, the idea was marketed and even built – shortly after 1958 when the patent was first made. Not all crazy ideas have to be borne from ‘modern’ angling…. However, like most things that are forgotten for long enough, sooner or later their time comes again: think boxer shorts, pipe smoking and beards. Given a new lease of life, and marketed somewhat ironically as “Set ‘n’ Forget”, Fishpool wonders how on earth things came to this. What’s next? Fishing robots?